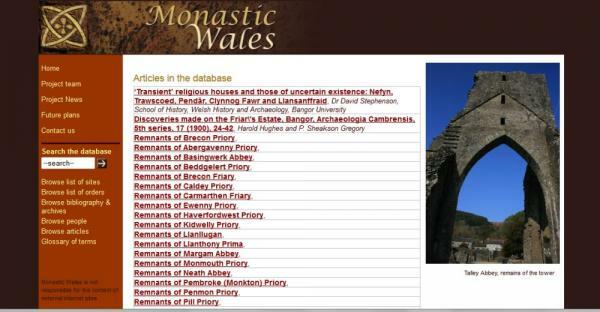 The Monastic Wales project is led by the University of Wales, Lampeter. 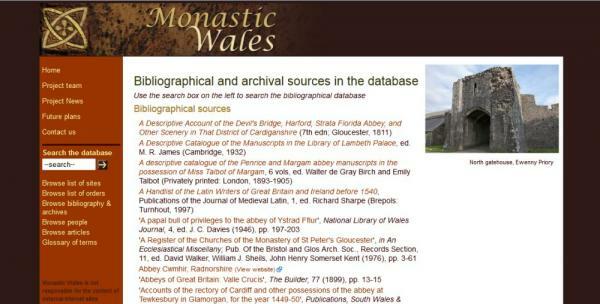 Technoleg Taliesin were commissioned to develop a research database to document mediaeval monastic sites in Wales, including a comprehensive bibliography of sources, printed and on-line, and a gallery of images of the sites. 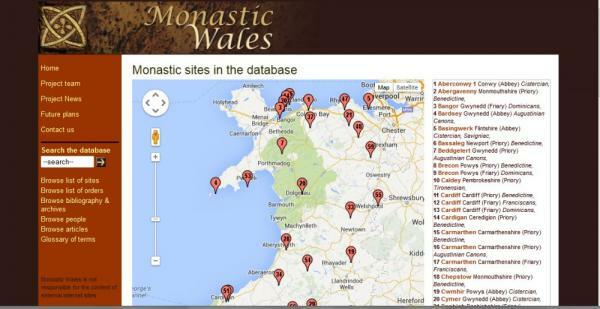 We also developed a website allowing public access to the information in the database. 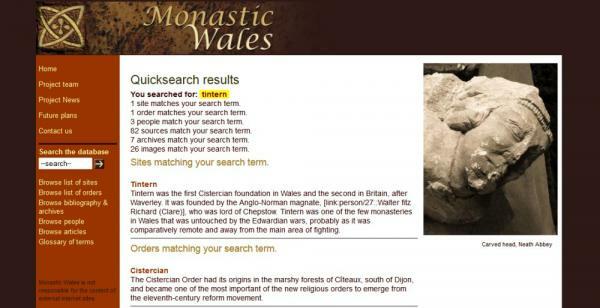 Technical features:PHP and MySQL, with extensive use of Googlemaps. 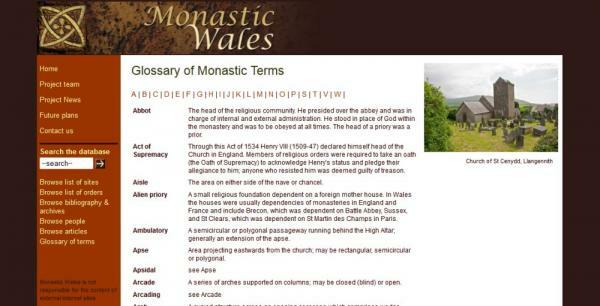 Main site uses the Technoleg Taliesin content management tools to allow members of the project team to update the site. 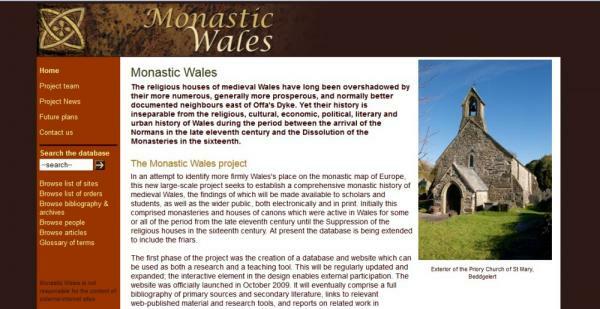 Development partners:Visual design of the website and project logos was by Martin Crampin, development and build by Technoleg Taliesin.